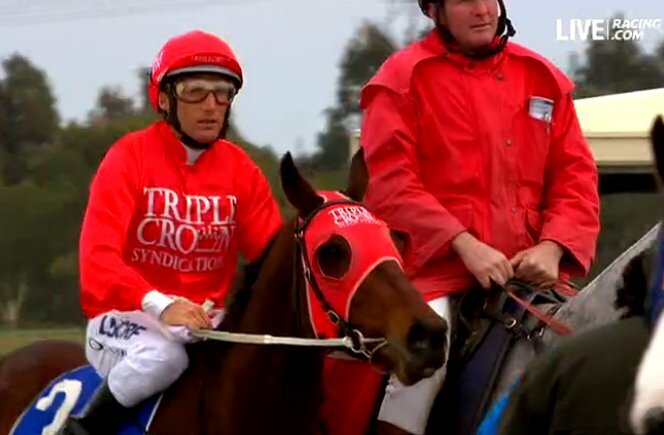 The winners keep flooding in for Triple Crown Syndications. Today it is Exacting’s turn to salute in the bright red colours of Triple Crown. 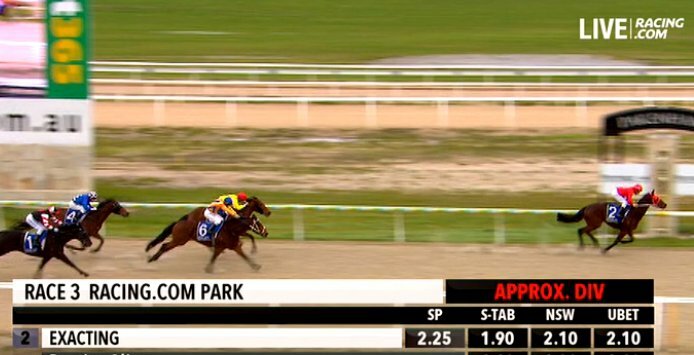 Following a couple of solid placings at his last two starts, Exacting came out to Pakenham today and simply blew his rivals away in a dominant 5 length victory. Champion hoop, Damien Oliver was in the saddle and the pair jumped away cleanly from the gates and sat in a nice position just behind the leaders. Horse and jockey looked like they were locked away in a pocket for a while until Oliver used all his nous to get Exacting into clear running early as they rounded the final turn. it was then only a matter of a few strides before Exacting showed a devastating turn-of-foot and cleared out for a comfortable win. Exacting’s win for Triple Crown comes hot on the heels of their winning double on Saturday with ultra impressive Redzel in the July Sprint at Canterbury and 2yo Bukzel on debut at Newcastle. Congratulations to our owners:Triple Crown Syndications., Mr D Lui, Mr L B Garrett, Mrs S L Willrath, Mr N J Senior, Mr K Dunshea, Mr P S Sharp, Mr A Saad, Ms D M Wass, Dynasty No 12, Mr K C Chan, Mr C Baker, Mrs S E Boros, Mrs M J Wass, Mr M Evans.